Roguelikes offer us as humans a level of comfort once we’ve mastered the mechanics. Repetition is an important aspect of life giving us a chance to repeat actions in search of new outcomes or to prove our learning to ourselves. Certain combinations of items in these games often synergize differently with each other, urging us to try again. With randomization keeping things fresh, players can explore new ideas within the safety of repetitive parameters. For a small handful of pioneering titles, death was now permanent ... for that iteration of your character at least. Life became precious and players became wary, knowing that each action could very well be their last. Rogue Legacy, The Binding of Isaac, even Dark Souls all consider the balance of risk and reward. Progression was now a gamble; do you take the new item, not knowing how it will affect your journey? Or do you leave it behind? While the indie scene often gives these new ideas because of the freedom within creation, the tropes eventually bleed through to triple-A titles. Minit designer Jan Nijman reflects on the indie scene for its freedom of mechanics: “Small teams are flexible. If you're a solo developer with loads of free time, you can make whatever you want. On the other hand, if you're responsible for 200+ employees and their mortgages, it's super dangerous to take risks”. There’s still a hint of the old way of life. Each death gives us time to reflect, we can analyse each choice we made along the way, using that information in the next attempt, or the next life. “In a good Roguelike, the players' eventual failure should always be a moment they can understand, learn from, and try again,” explains Rami Ismail, creator of Nuclear Throne. This is the central tenet for the genre. Knowledge comes from death and death is used as a tool. Sometimes a ‘run’ will inevitably end in failure, even sacrifice, as we seek out information or try new things. In Nuclear Throne, one of the weapons is a screwdriver, which if used on the right car opens a secret level. Use it on the wrong car, or even the wrong enemy and it will explode, ending your progress abruptly. Experimentation is key, death is inevitable and growing as a player through mortality is a must. 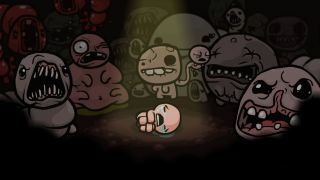 Think of it as being born again, or as Edmund McMillen subtitled The Binding of Isaac HD release, Rebirth. Three letters are sliding into our gaming lexicon more and more as the years pass but have been a focus for developers since the sprouting days of Acorn computers and Atari consoles. ‘RNG’ or ‘Random Number Generation’ is used in most games as the engine or AI produces random stats or timings to trigger enemies. Consider it like a dice-roll, determining and controlling the elements around the player. This technique is used for creating ‘seeds’ which dictate the layout of a level or the placement of items. It’s in the RNG that Minecraft knows where to place biomes or Spelunky juggles the tile-based level design to create unique pitfalls and risks with each playthrough. Along with reinventing mortality and urging players to adapt to new design structure, players take another step closer to life with the random element of Roguelikes and lites. It’s not often that the words Rogue and procedural generation aren’t hand in hand, as teams endeavour to emulate the randomness of life within our games. This can come from items, where you’ll never know what lies inside a chest or, most notably, level generation. Videogames are often an escape from life, but Rogue games offer the risks of real life with little to lose. “Failure does not have any real-life results - beyond your run getting cut short,” notes Rami Ismail. This genre and its quirks offer players a new way of controlling the random things we meet in real life – danger, risk, choice – without the inherent idea of failing or regret.